While brand awareness campaigns can be tougher to measure than other campaigns with more tangible goals such as signing up for a conference or subscribing to a newsletter, there are some very useful tactics to track. Where can you start? Look at the search volume for branded keywords. 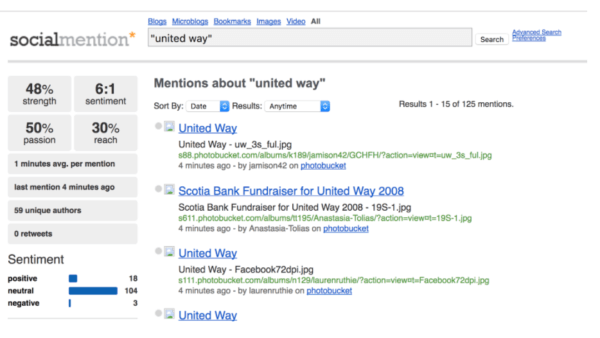 For example, the screenshot below shows organic search positions for UnitedWay.org. This data indicates that there are 60,500 people search “united way” every month. If volume increases, we can assume that more people know about the organization. A long list of branded keywords indicates a strong brand with good recognition. 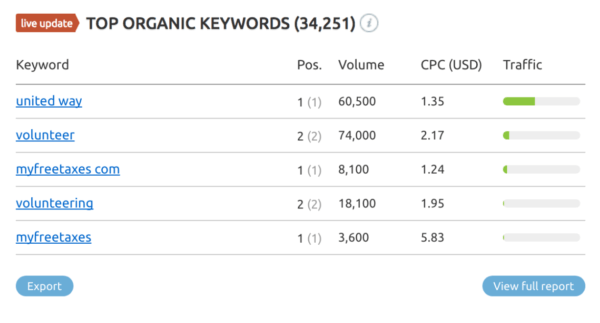 The screenshot below shows the number of branded keywords that are in top search positions. Are people talking about your brand? There are a variety of tools available that keep tabs on who is talking about your brand and the overall sentiment. The screenshot below shows the strength of “United Way” according to SocialMention. This is pretty self-explanatory, but basically the more followers, shares and likes on social media, the better for your brand awareness. Your followers on social media are also an effective way to measure the success of your branding campaign. So, now that you know what metrics to look at, what next? Follow these four steps. 2. Track conversion goals and events in Google Analytics, AdWords and Google Search Console. What can you do to improve these areas? The best approach we can offer when discussing digital strategy and nonprofit brand awareness is content marketing. Content—in all its shapes and sizes—is what gives you the ability to create a relationship with potential donors, volunteers and the general community without simply asking for money or help. It’s your strongest digital asset. Learn more about how it works in this case study. When you’re running a brand awareness campaign, not all types of content are created equal. For example, infographics are effective when running link building campaigns but most people don’t want to display an infographic that’s heavily branded. Be sure to create content that exposes your brand to new audiences, extends your reach and improves awareness. Some types of content do this better than others. Paid Search: Paid search allows you to strategically target keywords. Display and remarketing can stimulate brand recall and improve brand awareness. Paid Social Media: Similar to paid search, paid social media campaigns gives you the opportunity to reach new audiences and cast a wider net. Paid social media also allow you to run campaigns that target friends of your followers and have interests that align with your nonprofit’s goals. In the end, a nonprofit branding campaign isn’t a one-and-done effort. It’s an ongoing effort to establish your voice and apply it to several platforms. 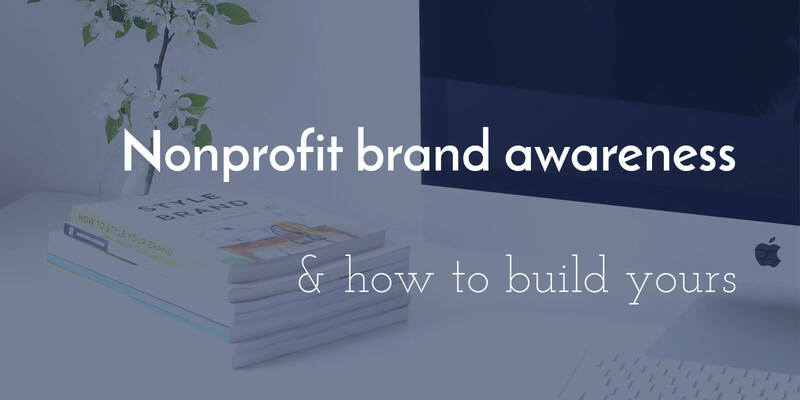 Understanding that and having the tools you need to track your success is key to building your nonprofit brand.